Alexa, how do you spell Superieur? So, what on earth does it mean when you see a bottle of Frenchie Bordeaux that reads Superieur on the label? Anyone, anyone, anyone??? 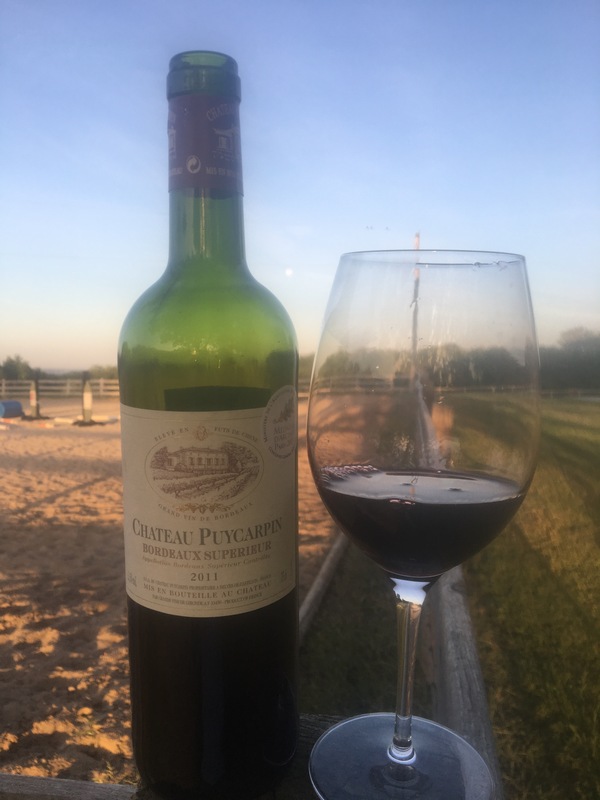 Simply put, in order for a Bordeaux to boast Superieur the wine bust be aged at least 9 months before distribution and come from vines that are planted much more densely than that of other Bordeaux vineyards. To put this density into context, the rule states that Superieur vines must be planted in excess of 4,500 plants per hectare. A hectare equtates to 2.5 acres so simple math (that’s about all I’ve got in me after a couple tastes of this wine) would tell me that these vineyards must be planted to house 1,800 vines per acre. This density creates a sort of competition for these grapes to thrive which in turn creates a lower yielding vineyard with a motto of only the strong survive. What does all of this mean to a wine drinker? Bordeaux Superieur wines will tend to be bigger, bolder, more complex in nature… Sign me up, yo! In the glass the core of this wine is daaaaaaaark purple – if it were any darker it’d be black. The black-purple core is surrounded by a juicy plumb colored edge. My first smell is barnyard. Another sniff shows a note of pencil shavings and just a small hint of black licorice. In the mouth, I get a nice blueberry beginning that flows towards anise and mild cigar smoke. The finish is un-ripe blackberry tart and black currant with pretty solid tannin. Even after all of the fruit is gone, the tannin hangs on for a solid minute. This is a Merlot driven Bordeaux and there is a lot going on with it. I don’t remember what I paid for this wine but I know it wasn’t much. That said, I would not hesitate to call this sucker one hell of a value! If you run across this guy, buy 3.